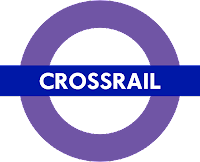 Trans-trax: Getting the lines crossed in London - Crossrail 1 & 2 & other lines. Getting the lines crossed in London - Crossrail 1 & 2 & other lines. 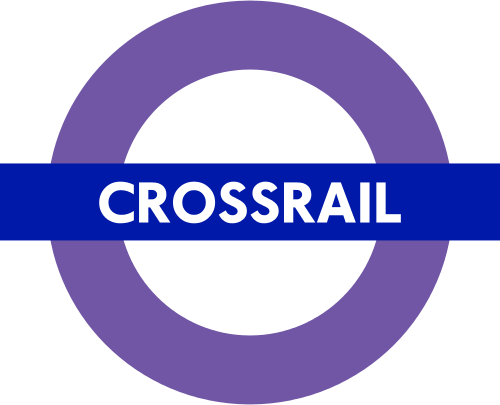 The project originally called Crossrail has been around for some years. It finally achieved its Parliamentary approval and is now being constructed. The line will run from Maidenhead in the west along the Great Western Main Line (GWML) into (under) Paddington. The branch from Heathrow airport to the GWML at present used by the Heathrow Connect stopping services to Paddington will also be incorporated into the project. Then it will cross central London connecting with other lines - mostly tube(LUL) lines to Liverpool Street. Then it surfaces at Whitechapel to continue along the Great Eastern Main Line(GEML) to Shenfield in Essex with a branch from Whitechapel southeastwards through Docklands and on to Abbey Wood on the Greenwich/Bexley boundary. There was talk originally in the extension of the line from Abbey Wood to the HS1 (High Speed Line 1) station at Ebbsfleet. This was put off indefinitely as being too difficult(??) to construct, too expensive(??) and unlikely (??) to be of substantial benefit. It should be pointed out that Southeastern runs high speed services from St.Pancras through Ebbsfleet to (a) Maidstone West (b) along the North Kent line to Whitstable and Ramsgate (c) down to Ashford, Canterbury West and Ramsgate and (d) down to Ashford, Folkstone, Dover and Sandwich. One would have thought that those services would provide enough feed to Crossrail at Ebbsfleet to make the connection "interesting". I suspect that other matters have been taken into consideration, such as, Southeastern´s wishes to amortize its investment in these, still underused, services. I am sure, however, that the Crossrail extension from Abbey Wood to Ebbsfleet will be built in the mid to long term. In the west there has been and is still talk of extending Crossrail from Maidenhead to Reading. 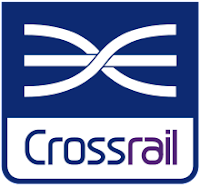 Since the government announced the electrification of the GWML from Paddington to South Wales and Bristol, the extension of Crossrail to Reading is no problem at all and could well be included into the programme at any time. This is more likely to happen after the line to Reading is completely electrified. That way there would not be any problems about who is in charge of which part of the project and has to finance it. Then Crossrail could take over all the stopping trains originating in Reading to Paddington. 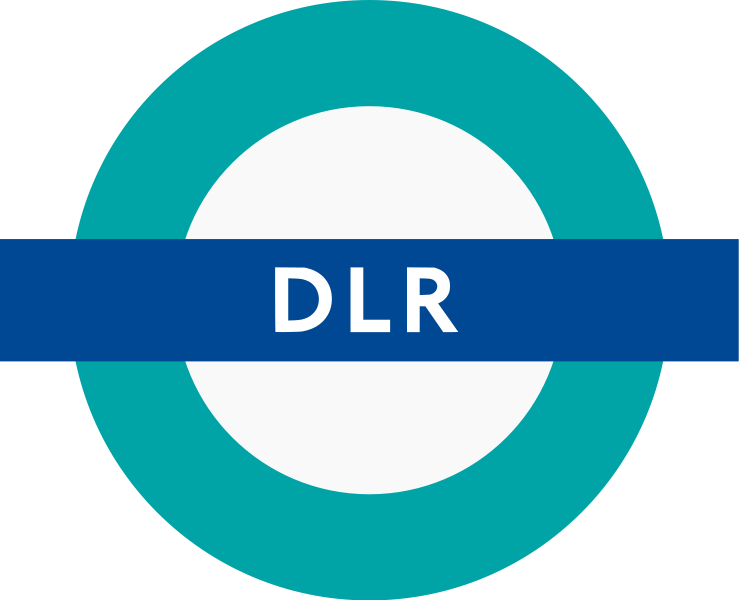 Take note that the logo now incorporates the purple colour as used on the Transport for London (TfL) logo below, whereas before the logo was just one shade of blue. Well up to this moment all well and good. Then it was revealed that TfL was actually going to run the service, not just have a say in the running of it and for that TfL is actively looking for an operator. This is of no great importance when all, or almost all the service is within Greater London. However, to the west of West Drayton the service runs outside Greater London, in the Thames valley. While it is logical to take over all the stopping trains from Paddington to Reading, as already mentioned, it becomes questionable when an authority dependent on the London Assembly has powers way beyond its remit. But that is the choice made. This is the brand image chosen for the service which will serve London. 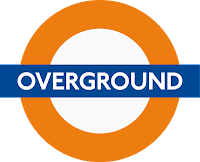 It is the emblem of the service to be used by TfL. In order to impress on us the integration into TfL. Crossrail even provides us with a "Tube" map with the line(s) superimposed on it. This is to be expected because TfL already provides "Tube" maps incorporating the Docklands Light Railway (DLR) and London Overground. It is also not unusual as National Rail provides a (clumsily called) London Rail andTube Services map. This map includes all TfL services plus all suburban National Rail services into and across London. It used to be called by the more manageable name of London Connections. Incorporating Crossrail into this map will take place without a doubt. The question arises then, why there is a different name for another rail service. 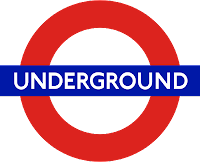 The " Tube" is composed of the original lines which formed the "Underground" This has always been accepted as the original subsurface (District, Circle, Metropolitan lines etc.) as against the deep lines, such as the The Northern, The Central, The Piccadilly and the Jubilee lines. The traction system is third rail DC 750 volts. 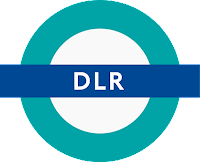 The "DLR" lines are a relatively recent invention. They serve the East of London, principally the Isle of Dogs and the rest of Docklands, using now, three car driverless trains from Bank to Stratford, Lewisham and eastwards. Though the technology is proven these trains are the only ones to ply the routes regularly as driver-free trains. The traction system is third rail DC 750 volts. 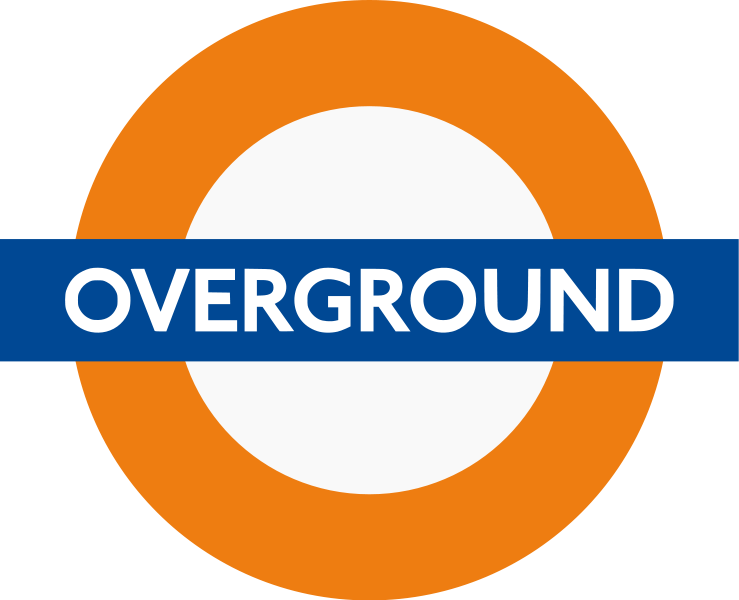 The "Overground" are the bits and pieces of National Rail services(together with the East London (Tube) line) which surrounded the capital and did not really fit any plan. They have now been put together (more or less) and extended so they form an outer circular line through the suburbs. The upgrades with the new rolling stock have been a success with the travelling public. One important thing to note is that the traction system is supplied by a third rail DC 750 volts just as the other commuter trains south of the river. Crossrail, however, is a new venture for TfL. It is a "regional" train service with "metro" workings, as well. You might say it is like some of the longer commuter routes out of some of the "old British Rail Southern Region´s" stations like Victoria, Charing Cross and London Bridge. You might say it is on the same lines as Thameslink. You have to remember some things..
(b) the trains are 200 meters long (with 10 or 12 coaches) so need very long platforms. (c) the power supply is taken from overhead lines at 25Kv AC - this is similar to other services north of the Thames but totally different from the third rail 750v DC system used south of the Thames. All this makes Crossrail a new type of service. We need to pause for a moment and look at why these lines across the capital are necessary. It is all a question of connectivity and capacity. Connectivity is the ability to connect from one surburban area of London to a terminus station and then transfer on to the Underground to effect the transfer to another terminus on the other side of the city on to another surburban line to be able to go to one´s final destination. It also means the ability to connect easily to other lines, Underground, or otherwise direct to a final destination. It means that you can cross the city without changing trains, and also that you can connect from one line to another without even entering the city. This means that capacity is freed up on the Underground for local travellers of shorter journey lengths. It also means the dwelling time for trains at the London termini are reduced or eliminated to provide platform capacity for other services, such as more Inter-City services. One thing is the running capacity of a line which might well be reduced because of the platform capacity at the city terminus. This can be increased by running services through the city. For this reason the project which is called Crossrail is not alone. Thameslink was the first proposal to augment the running of north-south surburban and regional services through the centre of London. It is up and working through St. Pancras, Farringdon and Blackfriars but since it still needs a great amount of reconstruction at London Bridge it will not be finalised until 2018. It has been followed by other suggestions over the years which have meant that a new proposal is up in the air called Crossrail 2. The moot question is if this is a misnomer for this particular service, but we can use if for the present. The first proposal was for a new "tube" line from Wimbledon along the District line to Putney Bridge from where a new line would be constructed via Chelsea, Victoria and the West End to Kings Cross then on to Hackney. It would end up taking over one of the branches of the Central Line from Leytonstone to Epping. This would provide relief on both the Central and Victoria Lines while providing service in an area without tubes such as Hackney. This was initially known as the Chelsea-Hackney (Chelney) line. Other names have been proposed but this was the one which has been more well known. The complete route was safeguarded in 2008 so that no other construction/line can impinge on it and it is up for renewal in 2013. 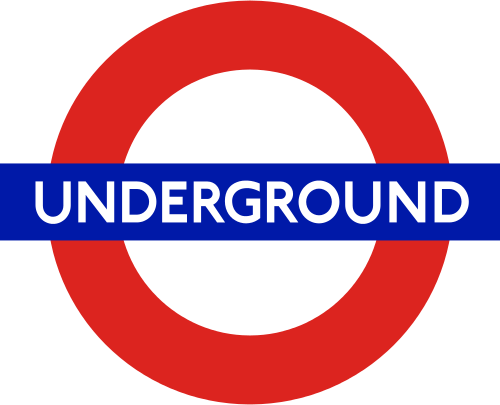 Over the years there have been several variants of the above mentioned "metro/tube" line. These, basically involved, tinkering with the idea, including/excluding different stops/stations. for many it was an even more preferable route than the Crossrail route at present being built. In 2011 everything was put on the table again. This is best illustrated by the proposition published by "TransportXtra" on 18th November 2011. Under the title "Metro or regional rail? TfL maps Crossrail 2 options"TransportXtra outlined the new options for both possibilities. 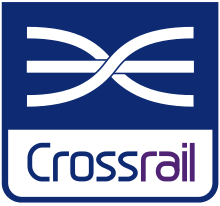 This is reflected in the report put out by the private pressure group London First published In February 2013 explaining its ideas about Crossrail 2 called "Crossrail 2 : Supporting London´s Growth"
It published these same options but decided on the regional option as the better economically viable scheme. This option is also supported by Network Rail. The "metro" option starts at Wimbledon, Clapham Junction, then going through Chelsea, Victoria, Piccadilly Circus, Tottenham Court Road, Euston-St.Pancras, Kings Cross, Angel, Essex Road, Dalston Junction, Hackney Central / Downs and on to Seven Sisters Turnpike Lane and Alexandra Palace. The idea here is to alleviate overcrowding at Waterloo, and on the Northern and Victoria lines. The "Regional" option sees the lines of South West Trains used from Twickenham, Shepperton, Hampton Court, Chessington South and Epsom entering a tunnel just south of Wimbledon. From there the line would run through Tooting Broadway (Northern line) and then the same route from Clapham Junction as the "metro" line through Central London to Angel (but eliminating Piccadilly Circus and Kings Cross as seperate stops).At Angel the line would divide with one section going to Dalston Junction, Seven Sisters, Turnpike Lane and Alexandra Palace. The other section would run from Angel to Hackney, Tottenham Hale, Cheshunt and Hertford East. This routing would help alleviate crowding on South West Trains, at Clapham Junction, on the Northern, Piccadilly and Victoria Lines as well as providing alternatives in the northeastern part of the conurbation. It is the preferred option for TfL which is carrying out a consultation on the route at its website. This blogger disagrees with the proposition put forward by "London First". I do not doubt their predictions about traffic patterns, numbers etc. but I do dispute that Crossrail 2 should be taken in isolation to the detriment of other solutions. As shown on the map provided by "London First", trains south of the Thames could start at Epsom, Chessington South, Hampton Court and Shepperton(within the limits of the M25) all provide the possibility of feed to the SouthWest-NorthEast line while could free up platform capacity at Waterloo - were these trains all to be diverted on to the Crossrail 2 line. The extension from Kingston to Twickenham is more questionable since that would require a modification of the flyover at Twickenham to arrive at a turnback facility which at this time does not exist. One questions if it is really necessary. The core route in the centre, all in new tunnels, would end up in a zig-zag pattern. This might well be the best route to take advantage of the central section connecting with all the National Rail and LUL lines.This would be the core route from Wimbledon to Alexandra Palace. However, the rest of the route chosen by "London First " for any "Regional route" is very questionable. Taking over the Hinault (via Wanstead) section of the Circle Line(LUL) is more rational since it does not mean any change of working standards - 750DC volts current south of the Thames and the same north of the Thames. The only section which is worth taking over completely and turning into a tube line is the part from Clapton to Chingford. Here the system would have to be changed to third rail 750 DC volts but that is minimal compared to the extent of the rest of the line and its tributaries. Thus the whole line in its three origins and three destinations could be a new Tube (LUL) line - the Kings Line for its connections in Kings Road and at Euston/ Kings Cross. Thus it would not be a separate Crossrail line under this new brand. The nett result would be a saving of platform capacity at Liverpool St. because of the subtraction of the Chingford services from the terminus. If the services from Shepperton, Hampton Court, Chessington South and Epsom were handed over to operate all of them on the new Kings Line then the platform capacity at Waterloo freed up would be quite considerable.Thus more regional and inter-city services to places further afield would be able to be run. One service which is crying out for modification is the Overground line from Watford Junction to Euston. The subtraction of this line from Euston would free up badly needed platforms for other services. The solution is simple. From South Hampstead the line can divert to Camden Road along a preexisting track and then continue to Highbury and Islington. Here it would connect to the new Overground service to run to New Cross. At present the line finishes there on its easterly branch. However, the service can be extended to Lewisham and Hayes, and to Lewisham, Grove Park and Bromley North. These would result in being two extensions from New Cross, possibly saving platform space at Cannon St. and/or Charing Cross. Though we have found possibilities in operating more services and freeing up platforms at certain termini we still have not arrived at a true new Crossrail service. The possibility does exist, however. The services running into Fenchurch St. from Southend and Shoeburyness via Basildon and via Grays, operated by C2C are a prime candidate. They are suburban and regional commuter lines with no connection to any other line or terminus (except for the occasional train running into Liverpool St.). The terminus occupies a prime site of real estate in the City of London. The station site could be sold while keeping the right to have access to the line at a station underground in the same place. A tunnel would be excavated from Fenchurch St. to run under Central London with stops at Cannon St., Blackfriars, Aldwich(reopened), Tottenham Court Rd., New Cavendish St. (Portland Place)(a new station), Marylebone/Baker St. (connected to both). The tunnel would continue northwards with one branch passing through Maida Vale to emerge at Queens Park and joining the WCML to travel through Willesden Junction incorporating most or all of the LondonMidland services to Milton Keynes. Thus platforms would be freed up at Euston. The second section of the tunnel would go directly northwards from Marlebone/Baker St. passing under South Hampstead and continuing to emerge at West Hampstead. The services would continue along the Chiltern Railways Lines through Wembley Park and Wembley Stadium on to Aylesbury and Aylesbury Vale Parkway via Amersham and High Wycombe respectively. These surburban and near regional lines would thus be diverted on to the Crossrail line through London freeing up platform space at Marylebone station. The work needed to be done on these lines would be the electrification of these surburban sections. That however, could be part of a general electrification of the line to Birmingham and Oxford which surely will be done in the mid-term. The other cross-London service which is being developed is Thameslink. This is considered the first surburban and regional service to cross the conurbation and serve both sides of the river Thames. The important thing to note is that it uses dual-voltage units using 25 kV AC overhead power north of Farringdon and 750 V DC third rail to the south. Though there is a less detailed map available on the "Thameslink" site this is the map of services published on Network Rail. There is as yet no definitive network pattern of services but this follows what has been said over the years. At present the Thameslink operator, First Capital Connect; runs services from Bedford and Luton down to Sutton, East Croydon and Brighton on one branch. On the other branch into Kings Cross and Moorgate it runs services from Peterborough; Stevenage, Kings Lynn, and Cambridge. Also some services go to Sevenoaks and Orpington. Though the final routes to be run by this franchise have still to be decided(and the DfT ´s map is different from this one shown - it illustrates more "Southern" routes.) this could be a good illustration of what might well be taken over. In fact a government consultation has taken place about modification of the franchise, called, Consultation on the combined Thameslink, Southern and Great Northern franchise and can be seen on the Department for Transport´s website. The DfT consultation ran to 14th September 2012. The results of the consultation were due to be published early 2013 and are still not available. The new franchise is due to start in phases from September 2013 but nothing is yet known about that. The decisions to be made about the route plans of Thameslink can still be very varied. The capacity increases by the works at Blackfriars give up to 24 services each way per hour so the possibility of extending the franchise is tremendous as seems to be the intention. Apart from the services indicated on the map other ones can be taken over to Epsom Downs,Tattenham Corner, Caterham, Beckenham Junction and Orpington, all within the Greater London area. The other cross London service to be taken over, logically, by Thameslink from Southern is the Milton Keynes - Willesden Junction - Olympia - Clapham Junction - East Croydon route. London Mayor, Boris Johnson, has something to say on the matter as he claims various routes for TfL The mayor published, in February 2012, a document about his vision of the railways in Greater London called, "The Mayor’s Rail Vision - Investing in Rail Services in London"
This, however, just seems to be empire building though some of the routes have already been incorporated into one or other proposal. He does not, quite frankly, provide a convincing substantial case for change - such grabbing would not benefit the commuter. Any improvements needed can be done by other means. 2 - the separation of the Charing Cross and City branches into two separate lines. 7 - Metropolitan lines extended throughout the day through central London from Baker St.
8 - The Piccadilly line split at Holborn so that the Cockfosters branch can extend to Aldwych, Temple and areas south of the Thames. The Heathrow and Uxbridge branches would continue from Holborn out North Eastwards. 9 - The extension of the Northern Line branch from Mill Hill East to Mill Hill Broadway, Edgware and Stanmore ( to connect to the other lines at those stations thus providing better connections across the suburbs). 10 - The Heathrow Express service to combine with the Stansted Express service to run on Crossrail tracks through Central London to link the two airports as a joint Heathrow-Stansted Express (thus freeing up platforms at Paddington and Liverpool St.). Other proposals will surely appear over the coming years, but how long will they take to be put into effect?